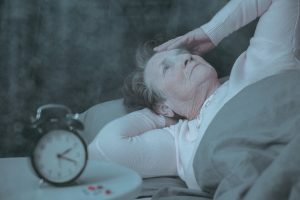 Could COPD Be Affecting Your Aging Adult’s Sleep? Chronic obstructive pulmonary disease, also known as COPD, is a complex series of breathing disorders that can take years to progress. It’s a permanent disorder, unfortunately, and it can make life difficult for your aging adult. One of the many ways that it can complicate life for your elderly family member is in terms of her ability to sleep well. Most people have a preference for one or two sleep positions over others. Your senior may even find that she can’t sleep in certain positions. If she’s a side sleeper, your elderly family member is much better off because this helps to keep her airways open. Other sleep positions, such as on her back, can make both breathing and sleeping more difficult. COPD Medication Can Be a Factor, Too. Some COPD medications make breathing much easier for your aging adult, but they can contain ingredients that make sleep more difficult to achieve. Your senior’s doctor may be able to switch her to another medication that works just as well to help her breathe. Alternatively, there may be other medications that can help her to sleep with fewer issues. Anxiety and COPD can feed each other, unfortunately, and thereby make each other worse. Anxiety makes it difficult for your aging adult to breathe, which then makes her frightened of being unable to breathe. At night, this can be even more frightening. Your senior may worry that she’ll be unable to breathe in the night, so sleep can be impossible. Hiring elder care providers at night can help your senior to feel more secure. Talk to Her Doctor about Possible Solutions. Your senior’s doctor may have other solutions that can help her to sleep and to breathe much more easily. This might involve changing medications or making other small changes to her lifestyle. If she’s having difficulty either sleeping or breathing easily, be sure to mention the trouble at her next appointment. Depending on the options available, your elderly family member may be far closer to a good night’s sleep than she thinks she is. As your elderly family member learns more about keeping her COPD under control, her quality of sleep can hopefully improve. If you or an aging loved one are considering elder care in Holmdel Township, NJ, please contact the caring staff at Lares Home Care 888-492-3538 or 732-566-1112.